THE RECOMMENDATION: Almost right from the beginning, Sicario presents you with a whole bunch of questions that you want answers to. Some of these questions we do end up getting answers to, and the ones we don’t are mostly forgotten; we can infer the answer or, more likely, we’re just so enthralled with everything else that we voluntarily forget. Kate Macer (Emily Blunt) is faced with these questions too and it’s through her, and somewhat through her partner Reggie (Daniel Kaluuya), that we absorb everything that’s going on. 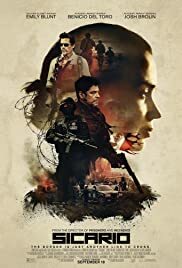 Sicario is at the same time one of the most tense and stressful films I’ve seen while also being one of the most methodical. You’re taken from scene to scene, guided by Matt Graver (Josh Brolin) and Alejandro Gillick (Benicio del Toro) and pretty much just asked to sit by and watch while they handle everything. This helps keep us in the dark and help make the building of tension that much more effective. The opening scene in Chandler, AZ, the scene on the bridge between the Mexico/U.S. border, and the scene in the tunnels each have their own draw to them and keeps you highly invested throughout the film. Your adrenaline will be flowing fast, but you’ll also have time to relax and process. Do be warned though, as some of these moments lure you into a false sense of security before being ripped from underneath you as you’re thrust once more into the danger zone.